Brush with special Staalmeester® ONE mix, for high-precision jobs. 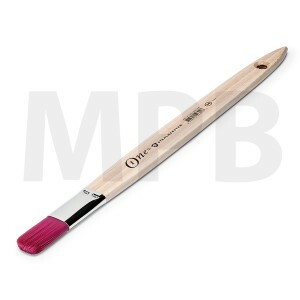 Best used to draw fine lines, with unpredeceded line strength. The brush is distinctive because of its clean cut, its ability to draw extremely exact lines, and its high absorptive capacity. The hairs stay in shape, and don't leave any traces, which results in a stripeless result. About the Staalmeester One series.... 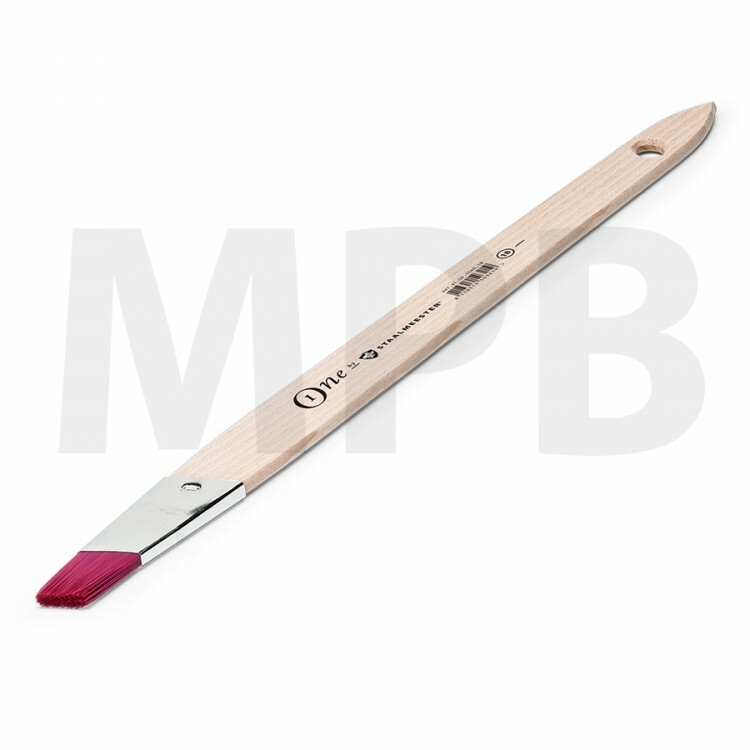 This high-quality hand-made line of products is provided with a new special Staalmeester® synthetic fiber in our recognizable color that with its high paint absorption and elasticity approaches original sable hair. Every brush with its own specific use for the sublime streak-free application of water-based and synthetic paints and lacquers! 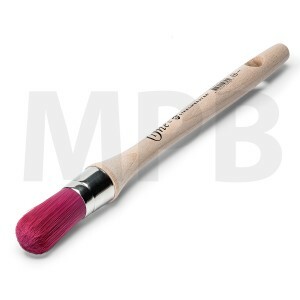 Staalmeester One 1020 Fitch Brush Straight 25mm Brush with special Staalmeester®..
Staalmeester One 1040 Fitch Brush Angle 25mm Brush with special Staalmeester® ONE mix, ..